In Windows (from 9x, 2000, Vista, to Windows 7), the "Recycle Bin" on your computer Desktop provides store the files and folder you deleted, the Recycle Bin icon changes from empty to full. Files deleted from a removable disk, files have a larger size than the storage capacity of the Recycle Bin, or files deleted via network share are permanently deleted bypassing the Recycle Bin. For the files deleted bypassing the Recycle Bin, you need to use a third-party undelete tool to recover them. On the Desktop, double-click Recycle Bin icon. To restore a single delete file, right-click it, then click Restore. To restore all of the deleted files or folders in the Recycle Bin, on the Edit menu, click Select All, then on the File menu, click Restore. For the deleted files and folder already emptied from Recycle Bin, you need to use some undelete software to recover them, or check a more completed tutorial regarding undelete files. If you deleted an important document file, you may get it back from "Recycle Bin", but if you empty the Recycle Bin, or use "SHIFT" and "DELETE" keys on deleting the file, or file is deleted in some applications or by virus, you cannot find it in the "Recycle Bin", but you still have chance to get it back. When a file is deleted, it is not actually wiped completely. It is just removed from the file list of the directory, or marked as "deleted" by the operation system, but usually, the file content is still present on the disk, until new data is written to the same disk location. First, after you realize you deleted an important file by mistake, before you get it back, stop writing anything to the same disk, and do as little operation on your computer as possible. This is because any data written to the drive could potentially be put onto the space that was holding the data you hope to recover, and make the deleted file unrecoverable. Undelete can recover files deleted before Undelete was installed, in case they have not been overwritten. Plus you can recreate the original folders which makes reorganizing your restored files a snap. FAT, and NTFS5 logical disks. 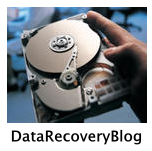 Flexible parameter settings give you absolute control over data recovery. WinUndelete is an undelete software for Windows platform. It can recover deleted files from hard drive, USB flash drive, digital camera card, and more. WinUndelete recovers deleted files after emptying the Recycle Bin, or using other delete operations that bypass the Recycle Bin. Once you have chosen an undelete software, it will scan your hard drive or disk for your deleted file or files. After the scan is complete, the undelete softwares will list all the found files from your disk, then you navigate through the folders and find and pick up the files you need, and highlight or right click on the items to recover them. Please note, do not save the recovered files to the same drive containing your deleted files. A different disk partition, external drive, or flash drive is a good choice to save the recovered files. For Windows users, there are two popular file systems (FAT and NTFS), most undelete software supports both file systems.